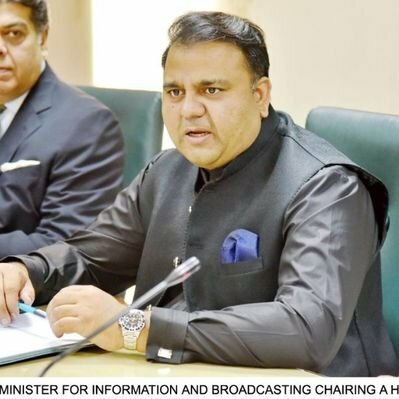 ISLAMABAD: Federal Minister for Information, Broadcasting and National Heritage Fawad Chaudhry has said that the allegations of political victimisation against the government over the incarceration of former prime minister Nawaz Sharif and his daughter Maryam Nawaz are surprising, and opposition will be offered all possible assistance over probe into the rigging charges. Speaking at a news conference, the federal minister said that both Sharif and Maryam were tried during the PML-N’s own tenure, and it was surprising that opposition leader Shehbaz Sharif had leveled allegations of political victimisation against the newly-elected government. The media talk was seemingly held in response to Shehbaz’s conference in which he accused the PTI over various issues. Hitting back at the PML-N president, Chaudhry said that no one had appropriated as much wealth through corruption as the Sharifs did. “Sharif and his daughter were given a lenient punishment despite massive corruption,” he maintained. Meanwhile on rigging allegations, he said the opposition has not provided even a single evidence to back their claims. “The government is ready to extend all possible assistance but wants to know where exactly rigging took place,” he said, adding the opposition had so far failed to name even a single constituency where polling agents were thrown out. Responding to PML-N’s criticism over the raise in gas and power tariff and price of fertilizer, he said that the former government had completely destroyed the three sectors owing to its corruption and incompetence. While defending PM Imran Khan’s appeal for donations for building dams, he assured the opposition parties that every single penny would be utilised on the construction of dams.